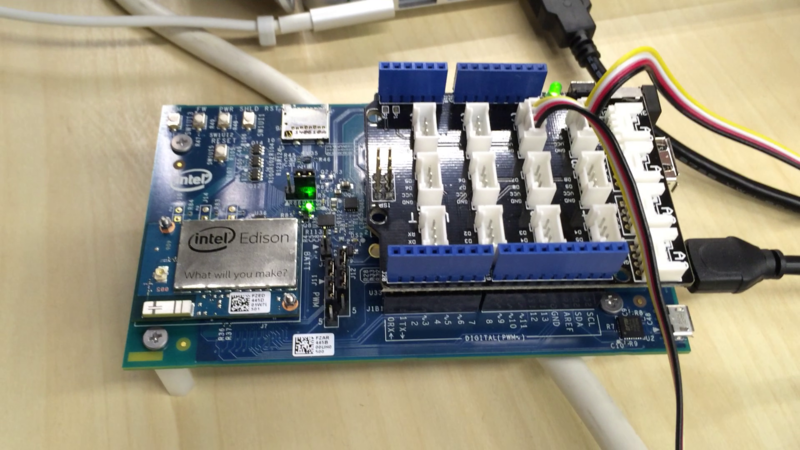 In Mid-May, I had my first Hackathon with IoT Roadshow, where Intel touts their new Edison board. With a 500Mhz dual-core, it is possible to have the Edison chipset integrated with an Arduino module. And while the Edison board can be used as a standalone Arduino board (which is what our team did, come to think of it). Another option is to use the Intel XDK IoT Edition with Eclipse to develop the program with C/C++, and according to another teammate who’s played around with that, the C++ API provided more functionality. It’s still rather ambiguous as to how Edison compares to Raspberry Pi. 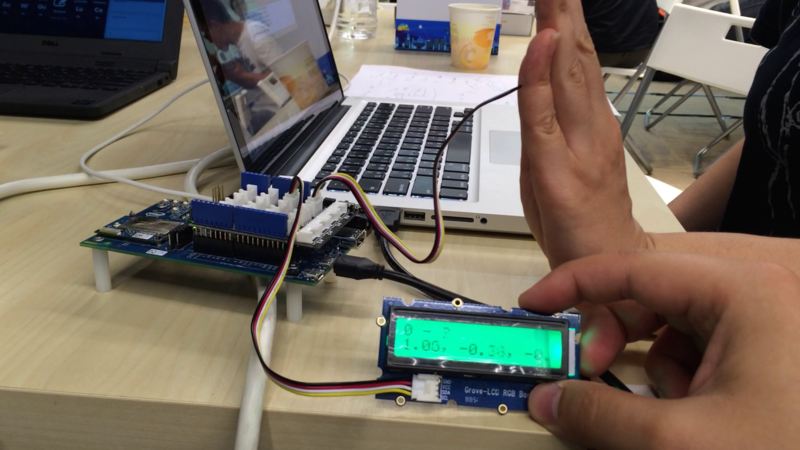 Some of the participants said its predecessor, Galileo, crashes very easily compared to Raspberry Pi. On the other hand, Edison has a built-in Wifi module, which can make a difference when you are doing projects involving wireless/mobile devices. Back to the Hackathon. Other than the Edison-Arduino board, we are also given the Grove Starter Kit from seeed, a sensor package which saves a lot of circuit-building time. 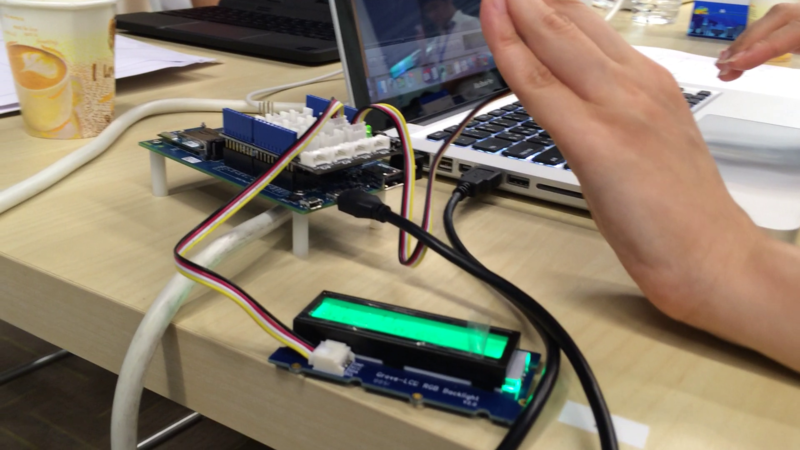 For our team, we practically messed around with the different sensors to see what it can do. I have wanted to go back into building my own drum kit after Divine Beats, so in those two days, using Edison to build a digital instruments was my main goal. Turns out me and Piezo still don’t get along that well, but we did end up using the 3-axis accelerometer to generate MIDI notes and play notes in GarageBand. The controls are such that the accelerometer will control the volume and pitch of the sound it plays. Tilting front and back controls the volume of the note…. … and tilting right and left changes the pitch. 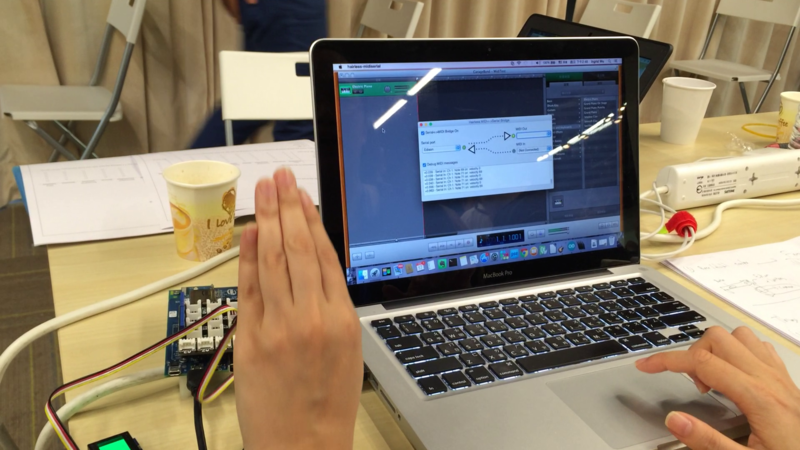 Following this post, I had the Arduino translate the accelerameter readings into MIDI protocol messages, which is sent back to the PC via USB Serial port. I then setup Hairless MIDI to Serial Bridge to convert the serial inputs from the Edison into MIDI output. For Mac, the IAC driver needs to be enable to have a working MIDI output which can then be used by GarageBand. Once Hairless MIDI starts channeling the serial inputs to the MIDI output, the accelerometer can then play notes in GarageBand as a MIDI instruments. Well, that’s at least a preview of what I’m been up to with Edison. There’s still a few things that need to be done before I can really play music with the accelerometer, after which I might have a more detailed tutorial on it.